For the amateur athlete, basic concepts of and current research on fitness and training, including information on common physical problems that may result. While her tone is technical, Simon addresses both sexes and gives clear explanations of such subjects as isometric and isotonic exercises, fast-twitch and slow-twitch muscle fibers, and the effects of drugs. She also debunks such common sports myths as "cold water causes stomach cramps," "high protein diet improves performance," and "no pain, no gain." 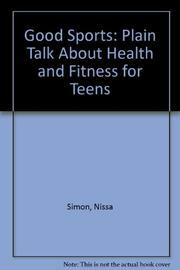 While it is unlikely that most teens will read this book straight through, its topical approach, focus on commonly experienced injuries and their treatment, and helpful glossary will by useful for young athletes and their parents. Index.